British artist and woodcarver Joey Richardson grew up surrounded by trees on a small farm within the heart of Twigmoor Woods in Lincolnshire, England. This is where her love for wood, nature, fauna and flora comes from. Wood-turning, one of our oldest and most traditional crafts, inspires Joey who keeps it alive. Also, she teaches and conducts master classes on turning, piercing, painting and texturing the wood in the UK and the USA, inspiring others. Richardson has exhibited her work at major exhibitions in the UK and the USA, including the prestigious SOFA expo in New York and Chicago. She has won many medals and prizes for her beautiful woodturning, including awards in the Worshipful Company of Turners’ competitions. Ganesha in Indian art. 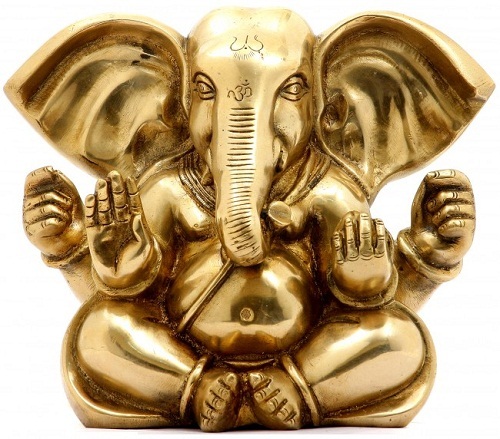 Ganesha is a popular religious figure in Indian art. He is portrayed standing, dancing, taking action against demons, though having a playful behavior. Ganesha has the head of an elephant and a human body with a big belly. He has four arms, sometimes more. Ganesha carries various weapons, but is not known to have ever used them. The earliest known stone statue of Ganesha with an inscription dated to 531, found in northern China. In Japan the Ganesha cult was first mentioned in 806. Statues of Ganesha are found in Hindu art of Java, Bali, Borneo, Burma, Cambodia, Thailand. 5th century image of Ganesha was found at Gardez, Afghanistan. In Buddhist Thailand, Ganesha is regarded as a remover of obstacles, the god of success. The art technique creating the optical illusion is known as Trompe-l’oeil. American wood carver from Florida Fraser Smith has mastered this technique to perfection. 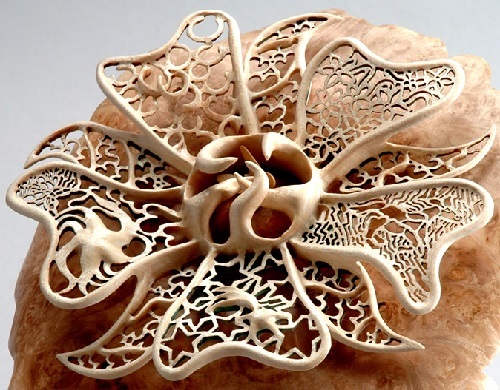 Hyperrealistic wood carving by Fraser Smith is so deceiving that viewers when looking at these sculptures, can not believe it’s not a real cloth. The artist himself says – “I might be the only person in the world that does what I do, but there’s probably a really good reason for that”. 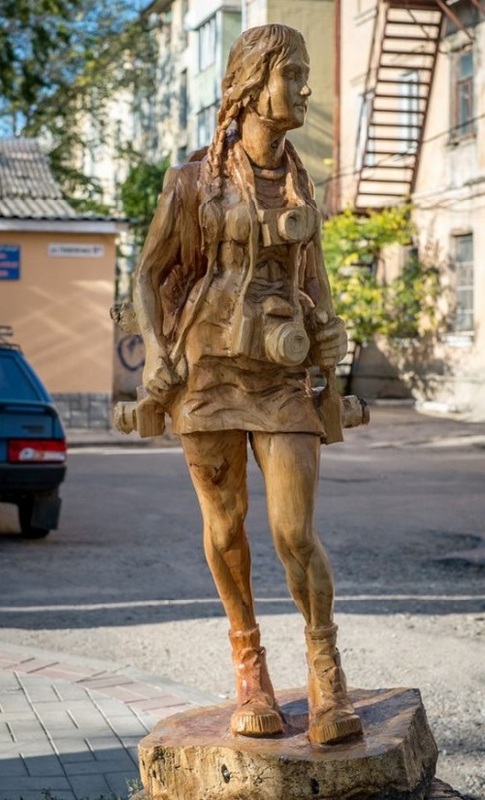 At each exhibition he is dealing with the same cry: “Wow, is it really made ​​of wood?”. 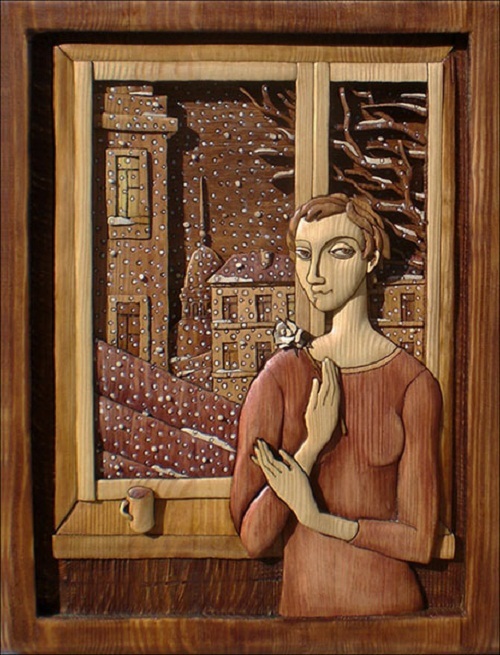 Yes, it is – Fraser carves all his works from the soft wood stains and oil paints. Fraser himself believes, that it is not even accurate simulation of textile, but simply human psychology. 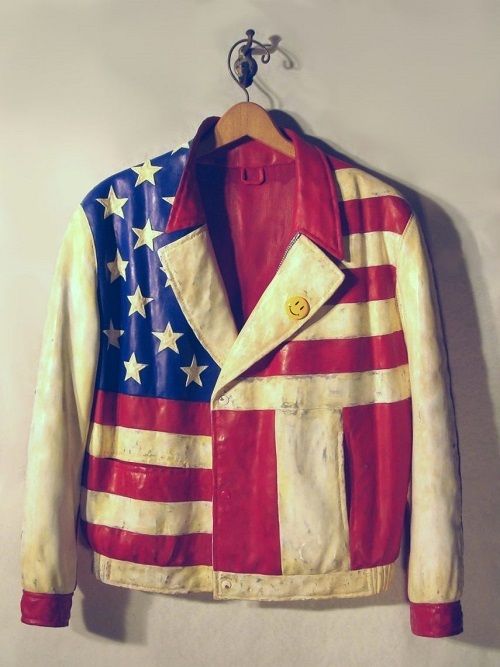 Coming to the exhibition the viewer sees the jacket and automatically thinks about it as a jacket made of textile, nothing else. But when they find out that it is a wood painted clothing, the brains reconfigures, and here comes the surprise.